The 2012 White Sox have surprised and astonished their doubters and their fans into the third month of baseball. The Sox have done this with a lot of homegrown talent. 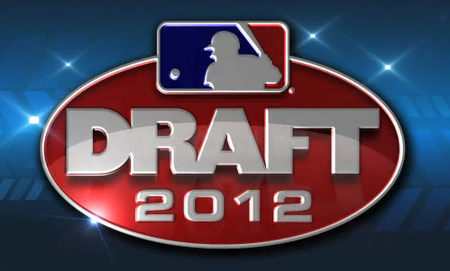 The draft is tonight and the Sox look to continue to get better with more draft day steals. The Sox have had some solid acquisitions over the years without having to over pay. Not too shabby for the worst ranked farm system in baseball, but that’s a bit of a misnomer. Part of how you are rated by these so-called professional baseball analysts is spend, and the Sox do not spend as much as other teams mainly because that’s part of why you draft players. In fact, that’s the whole reason the baseball draft exists, so teams with bad records can build an organization in an economical manner. GM’s like Theo Epstein and Brian Cashman have over spent to acquire young talent that clearly is contradictory to the fact that the draft was established in 1965 as a backlash against teams such as the Yankees and Cardinals. With the new rules the playing field has been leveled and according to an article in the Chicago Tribune this morning Epstein is steamed. What Theo, upset you just can’t throw money at it to fix the Cubs problems like you did in Boston? You might actually have to make a real effort in Chicago? Easy there McLeod, I don’t think anyone wants to read about your juices, but we all like your enthusiasm. In other words, it’s exactly what it’s supposed to be once again. The biggest offenders of over spending at the moment are the Pirates who have spent over $52 million on the draft the last five years compared to the White Sox $18.3 million. You would assume the Pirates would be better than a game over .500 at this point and have not finished over .500 since 1992. However, that’s not the case since only 33% of top ten picks live up to their potential or actually become All-Stars. Let’s simplify that, three players picked in the top ten this year might actually live up to their potential and from what I’ve heard on talk radio this past weekend that might be a bit high. With $18.3 million invested in the players listed above the Sox are getting a bargain, and won’t have to worry about huge dollars for most of those guys until 2017-18. With the stats that Sale, Viciedo, Reed, and Jones are currently outputting, the Sox would be paying about $41 million annually for veteran talent of that caliber. My guess is the White Sox scouting department will find some more major league caliber bargains again this year with analysts giving them a “C” or lower on their draft class. From what I see right now in Chicago, I would give the Sox farm system a major league “A”. Previous Previous post: Bleepin’ the Bleepin’ Hawk?